The beauty of Wellington is, the city is so close to nature. The city is built on the mountains and still retains its natural beauty. 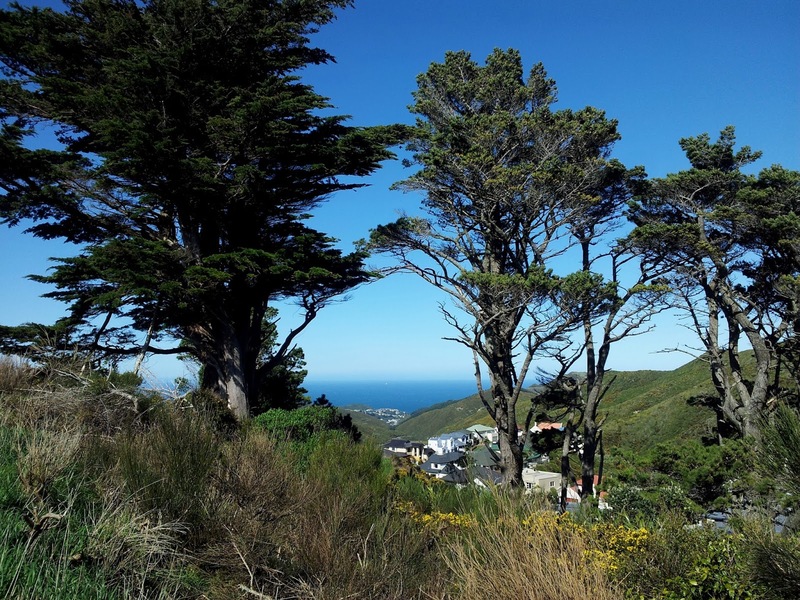 There are plenty of bush walks, city walks, bay walks close to city and easily accessible by walk or public transport. 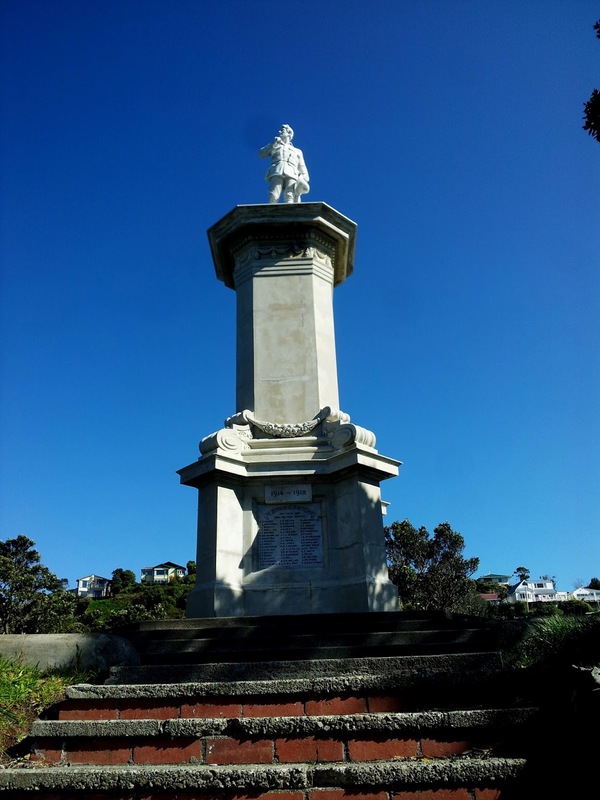 In the first few weeks, I made an attempt to walk with meetup groups which are more active than in Auckland. 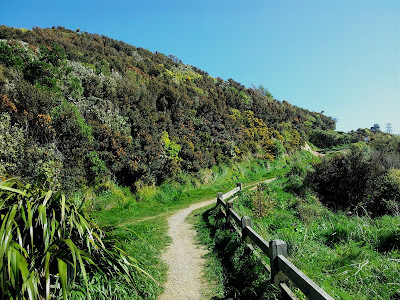 However, on this walk to Polhill reserve, I happened to go by myself on a Saturday morning. The start of the trail was just about 850 mts from where I live. It was about 1030 when I started walking. The initial stretch was inside a bush. There were more bikers than hikers. After reaching the top of Polhill, I took a detour to visit Brooklyn war memorial. The view of the city from here was beautiful. 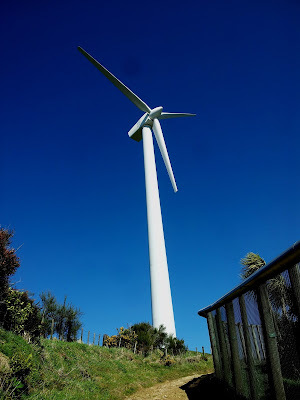 From here, I followed the signs towards Wind turbine. The climb to the wind turbine was quite steep. A lookout point, on the way, facing the ocean was an open ground with few old gun emplacement blocks filled with graffiti. I spent some time sitting there before heading to wind turbines. The wind was quite strong but the view made me stay little longer battling the wind. The wind turbine wasn’t too far from here. There were hardly anyone when I reached the top. This wind turbine was established in 1990s as a research project. It is a landmark today and visited by several hundreds every day. I stopped for lunch before heading back. There are many other tracks which goes further towards bay. I walked back to the lookout point. The Wellington airport was at a visible distance from here, with flights landing and taking off every 10 minutes. I sat there following the cruises sailing towards the Wellington harbor from South Island. I can’t wait to make a trip on this cruise to the South Island. Though the wind started gusting by now, I dint want to move from there. The view was worth all the cold breeze on your skin. I headed back into the Mitchell town on my way back, to once again see those beautiful houses facing the view. The houses adds an aesthetic value to this town. The houses are so easily accessible and yet so secluded. A dream place for loners. It’s surprising to see such wonderful town so close to city. And that is why I say, Wellington is such an amazing place and is so different from Auckland. I took an alternate route inside the bush which was for pro bikers. The path was extremely steep. I wonder how bikers manage to ride through while I struggled even to walk at few sections. I was back home by noon. My first walk in Welly was so satisfying! This was the first time, I was traveling outside Auckland. 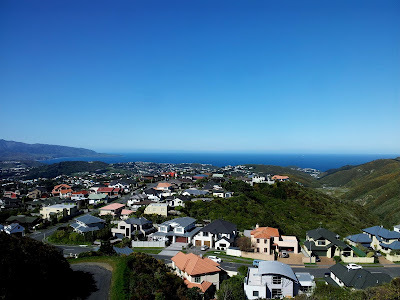 I was relocating to Wellington, one of most beautiful capital cities in the world. Things fell in place so quickly. I had just about 3 weeks to plan my relocation. After spending some time calculating the most economical way to move all my stuff to the new city, it turned out that the bus journey was the cheapest. For some reasons, it so happened that I decided to do a day journey. It was certainly not planned. Above that, I had a crazy last week in Auckland with catching up with friends, packing my luggage and graduating just a day before the day of journey. I was terribly sleep deprived and needed to catch up some real good sleep. After pulling in myself into the bus, I did not miss to occupy the front seat like always. All I did the first 2 hours was to force myself to keep my eyes open. I could not succeed beyond 5 seconds. Things changed when we reached Taupo. The scenery outside was so enchanting that I hardly blinked my eyes. That’s when I realized, why it had to be a day journey. The snow mountains in Tongariro and the Taupo lake were breath taking. The huge windows of the bus made it easy to enjoy the views around. The bus services are excellent. The driver briefs you about the journey in the beginning. The bus stops at 2 places for an hour each, for lunch and snacks. In between these stops, there are toilet breaks every hour. There are several other bus services like Naked Bus and Mana Bus plying between major cities among which Intercity is certainly the best. Let me take a while to mention here about the train journey. NZ is famous for its scenic train journeys connecting all the major cities in both the Islands. The journey from AKL to WEL is called the Northern Explorer which is worth an experience. The days are shorter in July and it was a full moon day. The moon was shining bright against the deep blue sky. It was perfect setup to meditate. The seat belt allowed me to sit safe and upright. I reached Wellington around 820PM at the central railway station. The wind reinforced what everyone mentioned, as the first thing about this city. Just then I received a text from friend, saying, Welcome to Windy Wellington. P.S: The driver was kind enough to take my extra baggage without the extra $10. Summer was in full swing and so was our spirit. I joined Mamtha and group on their monthly walk. The plan was to do a walk in Motutapu Island which is 30 minute ferry ride from the downtown. It was a perfect sunny day with clear blue sky. Motutapu Island is an old landmass dating back to the Jurassic age. While contrastingly, the adjacent island Rangitoto is the most recently formed island and just about 700 years old. Because of its strategic position in the Pacific Ocean, Motutapu had military settlements. Gun emplacements and Gun pit remains are a proof for early settlers on this Island. We reached quite leisurely and walked further north east towards Billy Goat point. Enroute we visited Station Bay and Waikalabubu Bay. We stopped for lunch after reaching the Billy Goat point. The view of Sandy Bay followed by Administration Bay while returning to Home Bay was breathtaking. Typical of a summer day is the perfect sky. The cloud formations in the sky was a treat to watch. The boats rocking with the water moments close to the Bay makes you dream of one such holiday. We reached Home Bay quite early and it was coffee time. Some of us enjoyed a siesta while few others climbed up the tree and took a monkey nap. The beach was so close to your sight and difficult to resist. I enjoyed a walk in the beach bare foot giving a natural pampering to the feet after a good walk. We took the last ferry back to the downtown.